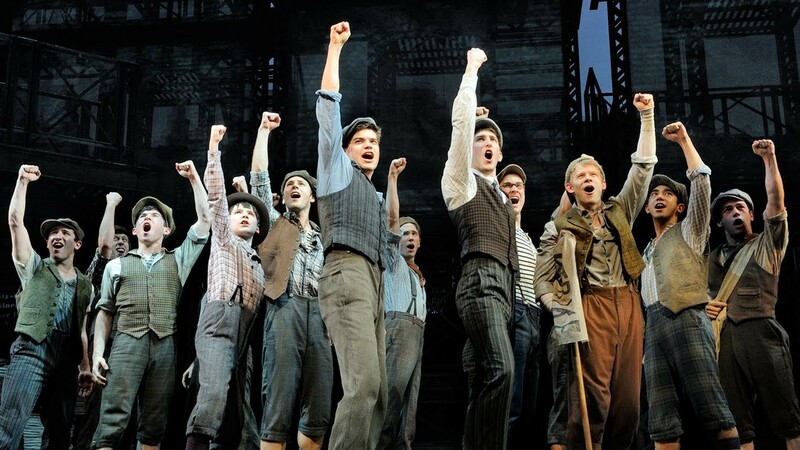 Disney's Newsies is one of the highlights of the 2015-2016 Best of Broadway season coming to Spokane. Singing newsies, mythbusters and magic highlight the lineup of Best of Broadway shows heading to Spokane for the 2015-2016 season, announced today by WestCoast Entertainment. Season tickets for the series are already on sale, with three prices depending on where you want to sit at the INB Performing Arts Center: $167.50, $284.50 or $336.50. Also announced was the next season of National Geographic Live!, a touring series of speakers, concerts and films that hits up major cities every year with a new round of stories from adventurers of the world. In Spokane, there are generally four speakers a year, all on Tuesday evenings, and who present their stories on stage at the INB Performing Arts Center. Season tickets are on sale now right here, for $106, $122 or $146. The Search for Life Beyond Earth, Nov. 3. Kevin Hand is an astrobiologist, and speaks on his career seeking out extraterrestrial life forms. One of his main jobs at the moment is to create instruments that have the ability to travel to Jupiter's moon Europa and possibly indicate that life forms exist there. On the Trail of Big Cats: Tigers, Cougars and Snow Leopards, Feb. 9, 2016. Photographer Steve Minter discusses and shows off his work photographing big cats all around the world. Where the Wild Things Live, March 8, 2016. Photographer Vincent J. Music tells of his many obscure assignments and his most recent work with animal photography. Sufferfest: 700 Miles of Pain and Glory, April 19, 2016. Cedar Wright recounts his adventures when he climbed, biked, repelled and journeyed through Arizona, Utah, New Mexico and Colorado. If you're interested in what the National Geographic Live! series is all about, it's not too late to catch the final speaker from the 2014-2015 season. Next Tuesday, at 7 pm, explorers Cory Richards and Mike Libecki present "Untamed Antarctica." The two discuss their adventures attempting to climb seemingly inaccessible territory in Antarctica, and share photos from their journey.